A totally unique hand crocheted tree skirt made with 100% luxury Wool Blend super chunky yarn. Add a splash of the 'wow' factor to your Christmas tree with our pom pom tree skirt. 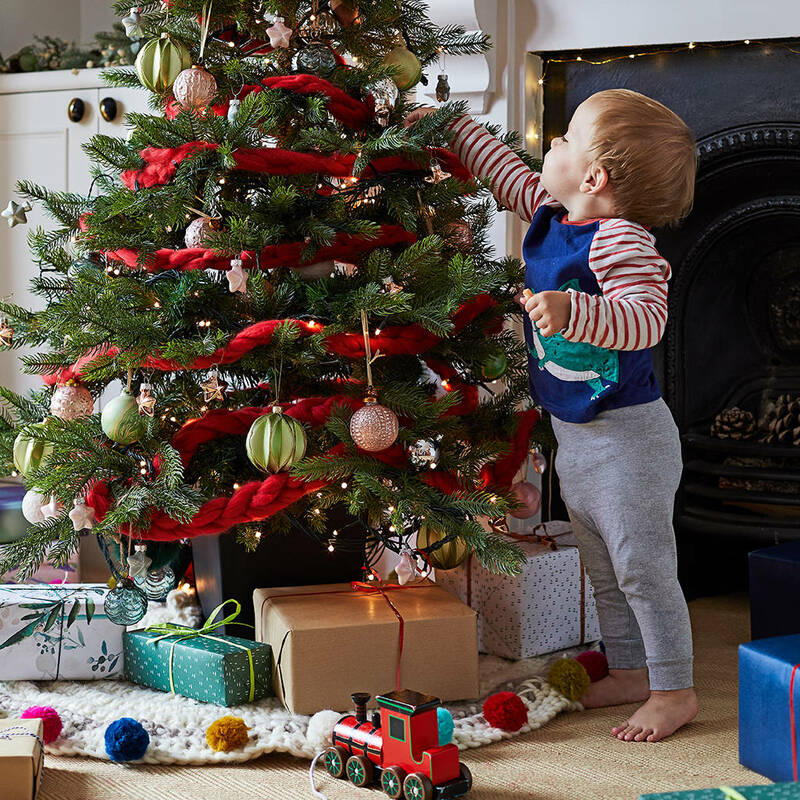 Each tree skirt is hand crocheted by our team of ladies in Wells, Somerset and is hand finished with handmade wool pom poms. 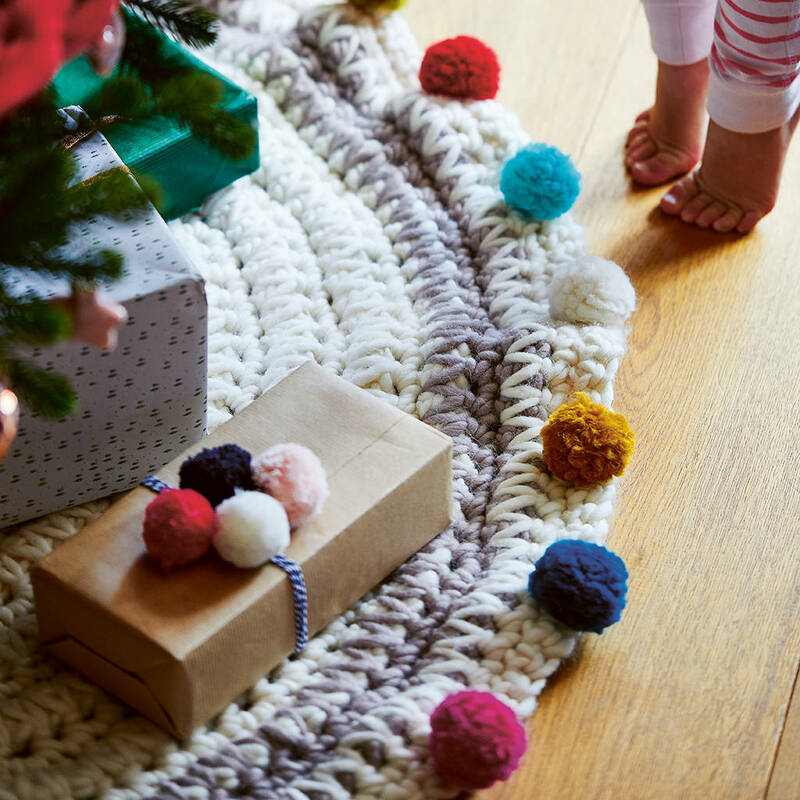 Our choice of super chunky wool gives this pom pom tree skirt a great weight and adds to the feeling of quality and luxury. 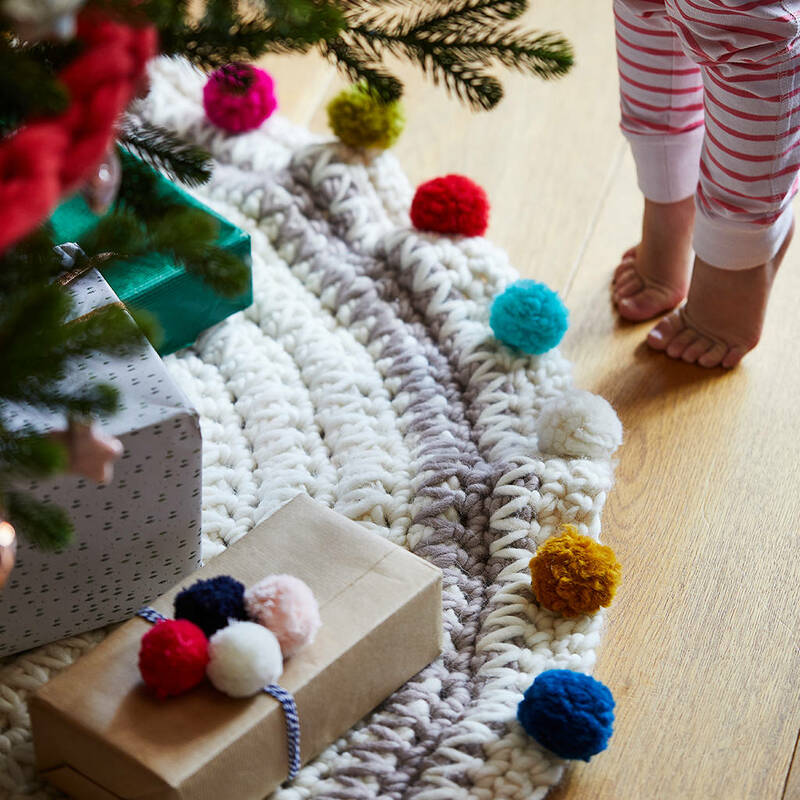 We have added 24 handmade pom poms in a rainbow of feel good colours but if your taste is more simple we can also supply the tree skirt pom pom-less!